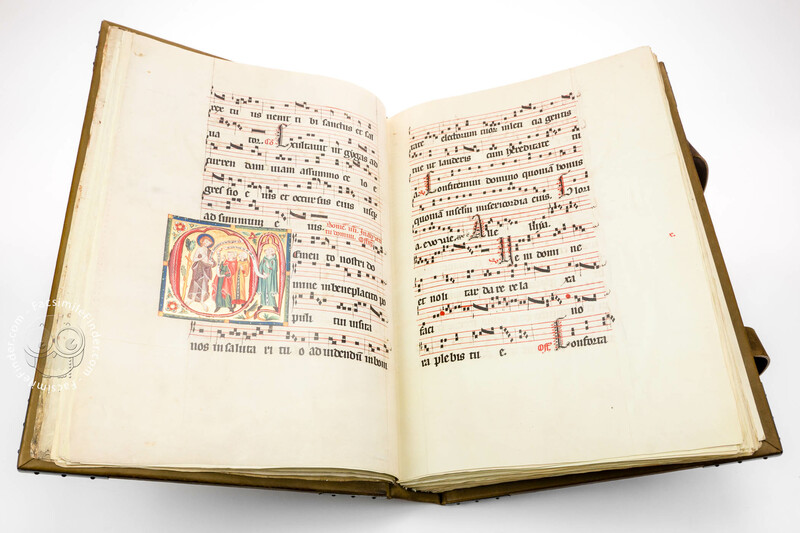 The Gradual of St. Katharinenthal is one of the most eminent works of Gothic art in Switzerland and of utmost importance for the intellectual, liturgical, cultural and art history of the Late Middle Ages. 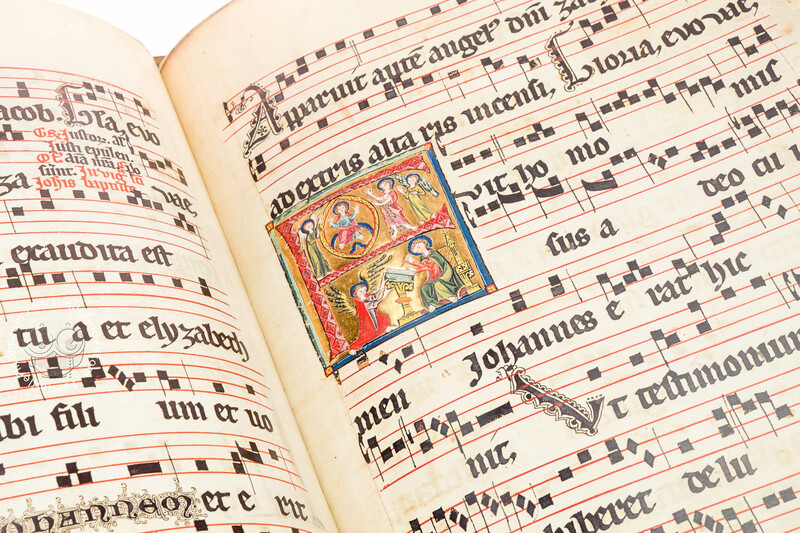 A Gradual is a liturgical book containing chants and notations which were sung in Latin during High Mass in alternating order, according to the calendar. 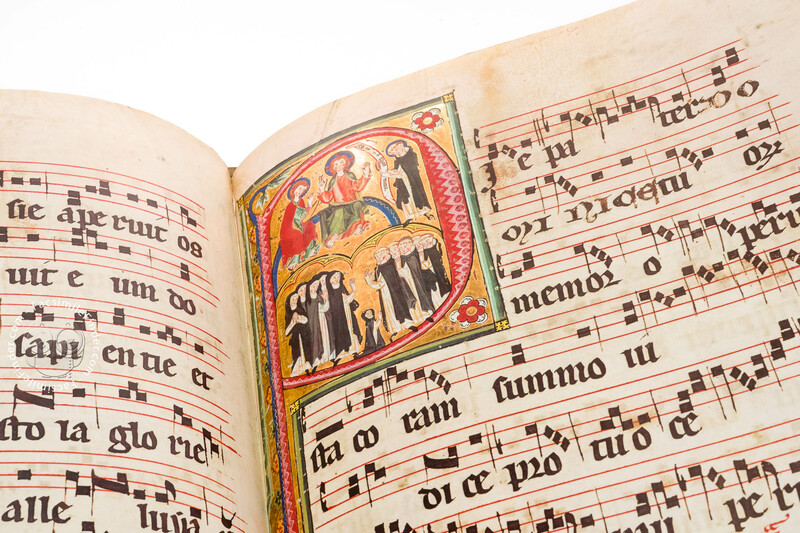 Rather large books were required by the choir who had to sing together after texts and notes from a great distance. 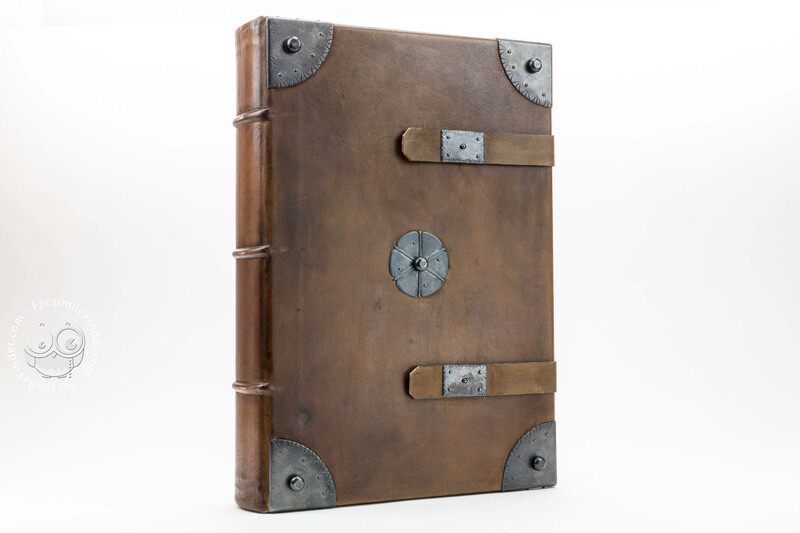 This explains the impressive size of the codex: the 628 pages (314 leaves) have a format of 48 x 35 cm. 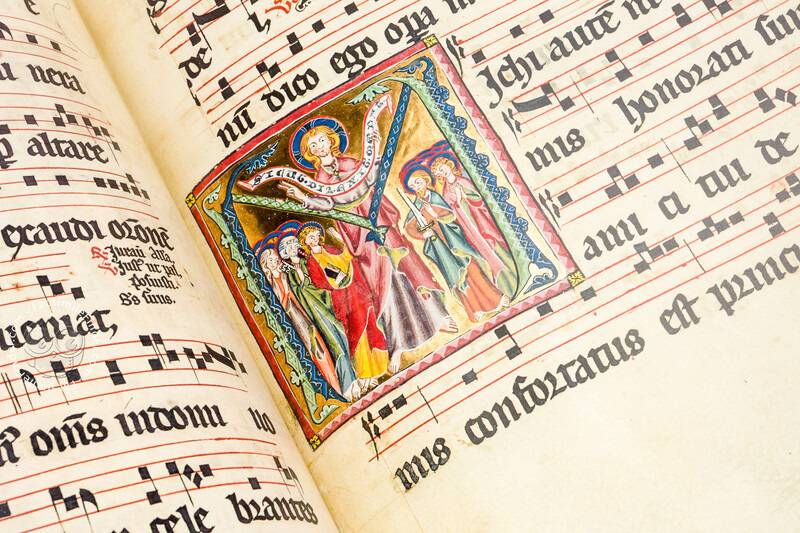 A hand-written inscription on the inside front cover informs us about the origin of the manuscript, St. Katharinenthal Abbey near Diessenhofen in Switzerland, as well as on its date of completion around 1312. 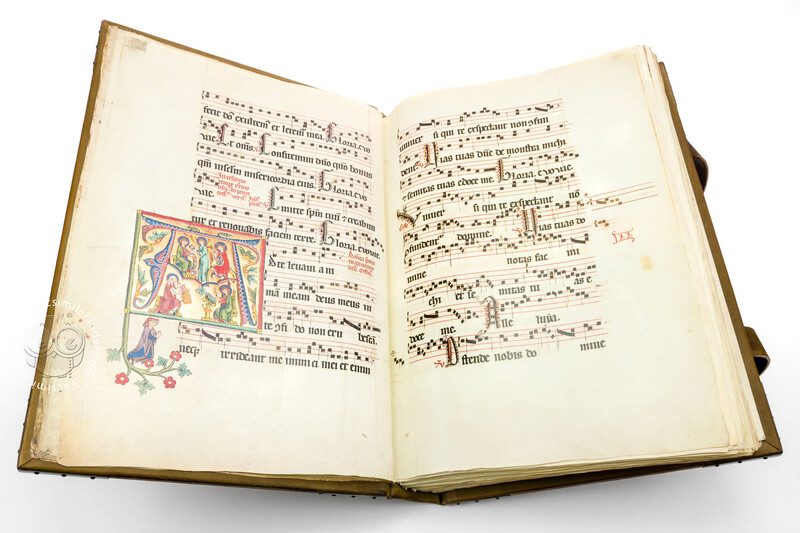 The codex opens with a calendar leaf, followed by 626 pages of Latin chants according to the rite of the Dominican Order, written in Gothic script. 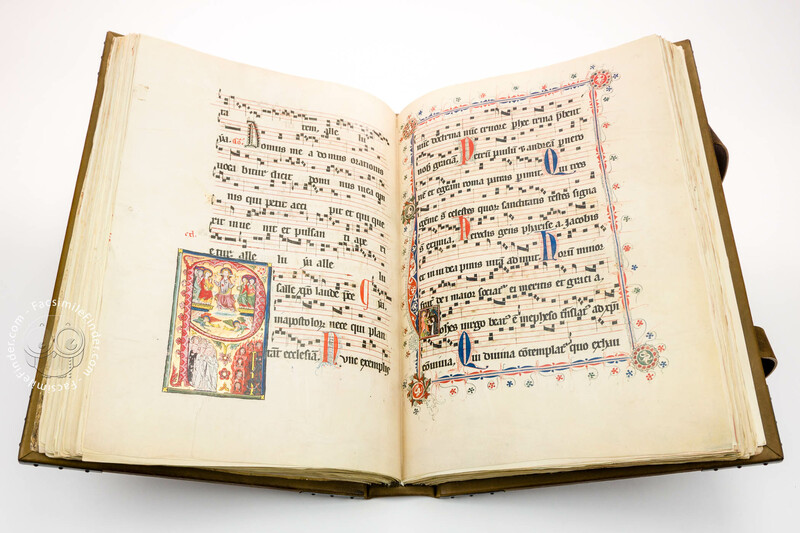 The notes are transcribed according to the Gregorian four line system whereby each page comprises nine text lines and nine note lines. 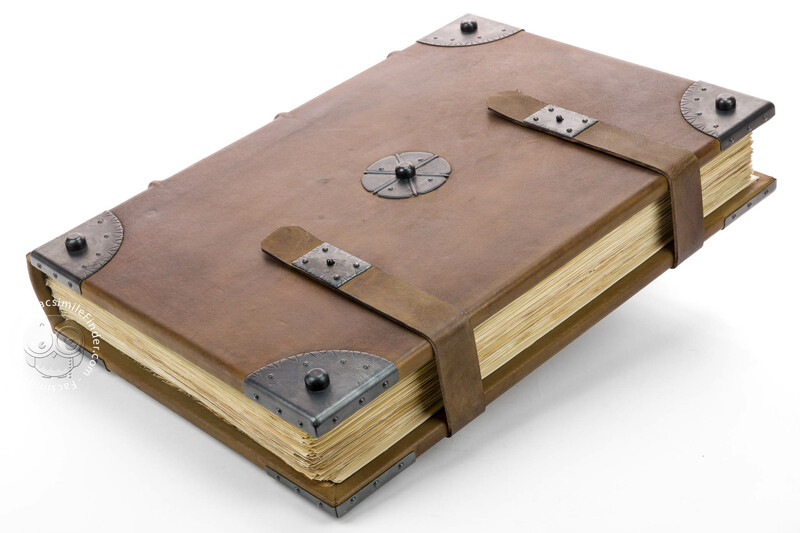 The texts, written in a common script of the time called Littera textualis, betray the hand of an experienced scribe. 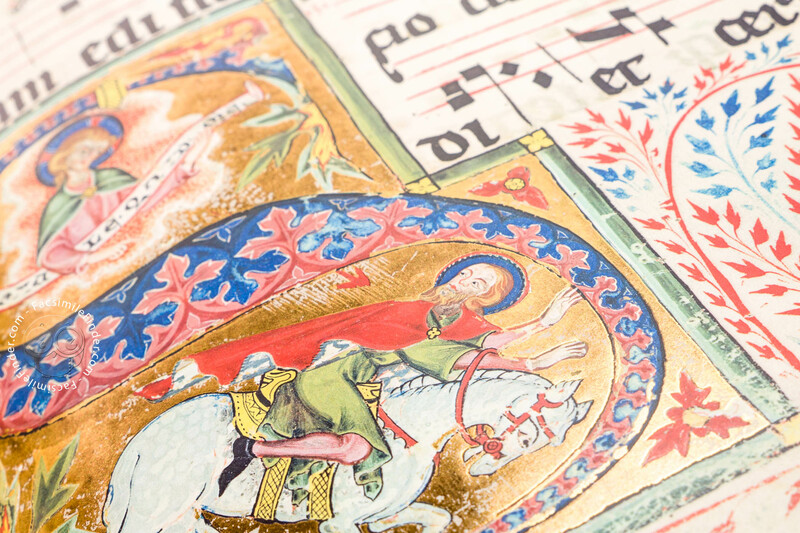 The decorative apparatus of the work consists of 71 finely painted, colourful, highly ornate miniatures decorated with gold leaf as well as of 13 ornamental de luxe initials and of countless finely embellished calligraphic initial letters. The splendid artistic decoration is the work of at least six, if not seven, different hands. However, it is very difficult to ascribe certain pieces of decoration to a certain artist. This is possible only in a few cases, while others leave room for diverse interpretations and disputes which to this day have not been fully decided. 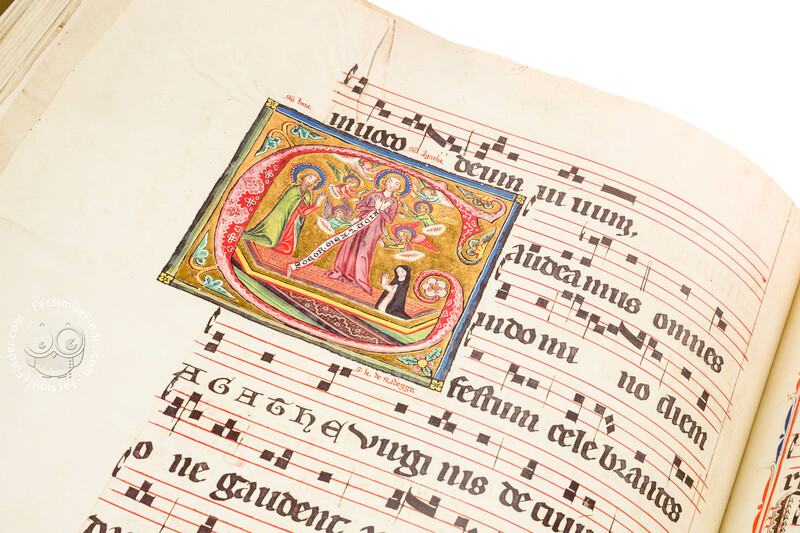 However, one clear statement can be made: the decoration of the Gradual of St. Katharinenthal evolves from two main artists. Both show a preference for monumental design and are characterised by a high degree of technical perfection. 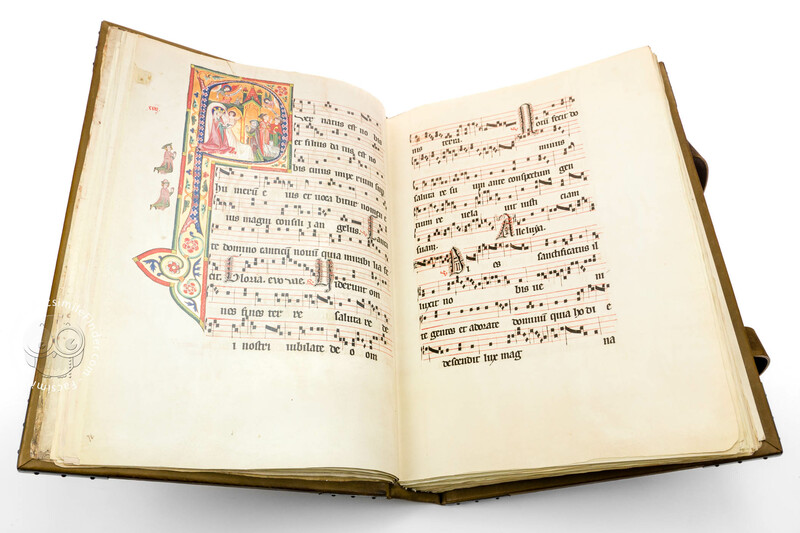 In all, the miniatures of the Gradual count among the top achievements of Gothic art. Their resplendent lucidity, their emotional power and discrete charm as well as their sense for the essential form and their serene clarity in composition make them, more than any other work of art of the Lake Constance area, a highlight of European pictorial language. 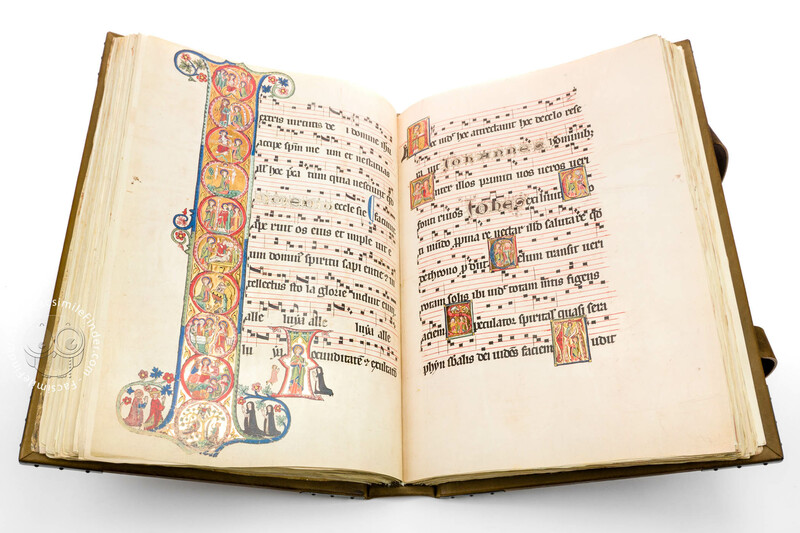 Created in 1312, the Gradual remained in use at Katharinenthal abbey until the beginning of the 19th century. There is no information on how the manuscript found its way to an antiquary in Constance in the year 1820 who made it the centre of his own museum. We assume that it was the same antiquary who had two of the most lavishly decorated pages removed from the manuscript. They are now divided in several parts and kept in diverse institutions as well as in private collections. 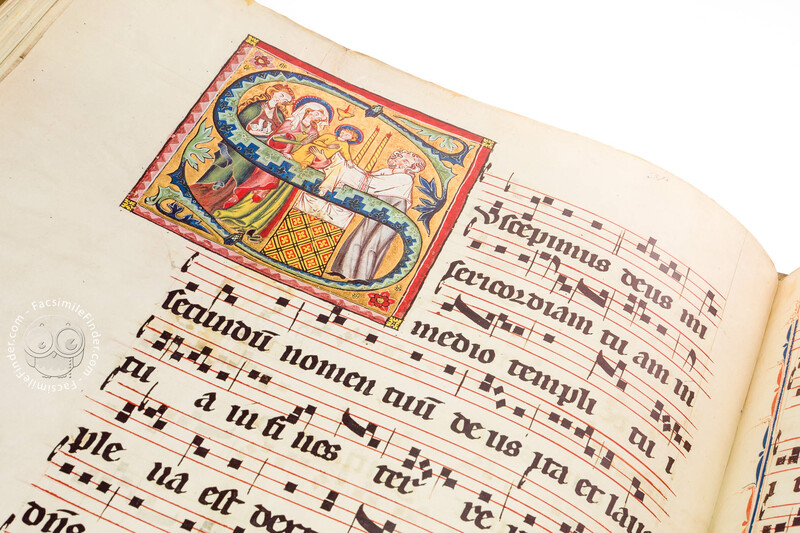 At the end of the 19th century, the manuscript finally reappeared in England where it remained until 1958. 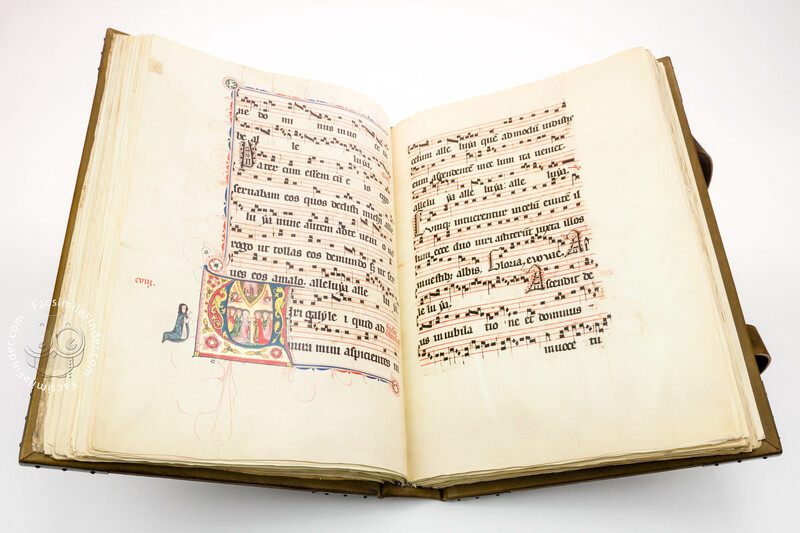 In that year the estate of an important collector, Sir Charles Dyson Perrins, was sold at an auction among which the precious Gradual. 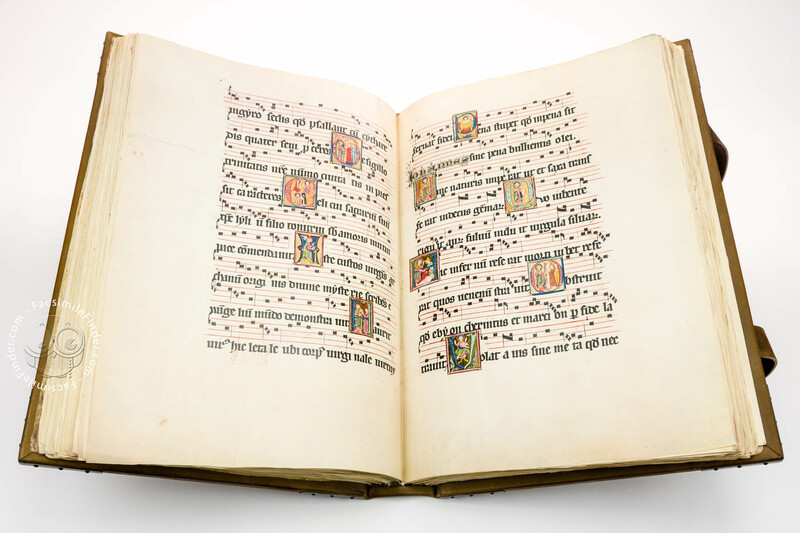 This unique occasion to bring the book back to Switzerland was seized upon by the joint forces of the Swiss Federal Government, the Gottfried-Keller-Foundation and the Canton of Thurgau who also financed the project. The masterpiece was acquired on December 9, 1958 and has been kept in Switzerland ever since. Manuscript book on parchment − 48 × 35 cm − 628 pp. 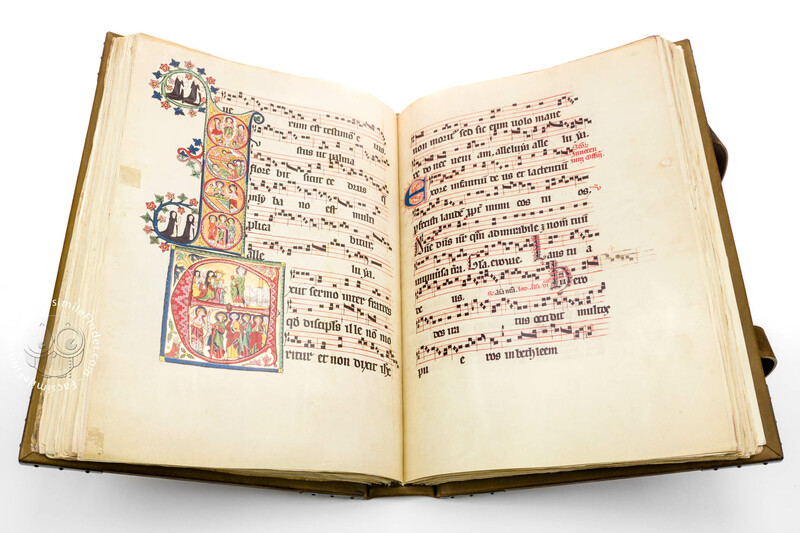 Full-size color reproduction of the entire original document, Gradual of St. Katharinenthal: the facsimile attempts to replicate the look-and-feel and physical features of the original document; pages are trimmed according to the original format; the binding might not be consistent with the current document binding. In this facsimile edition, each of the 314 leaves as well as the documented fragments of the two leaves missing in the codex have been faithfully reproduced. All leaves are handbound on cords. Made of genuine nappa leather and decorated with corner fittings, a central rosette, and clasps.